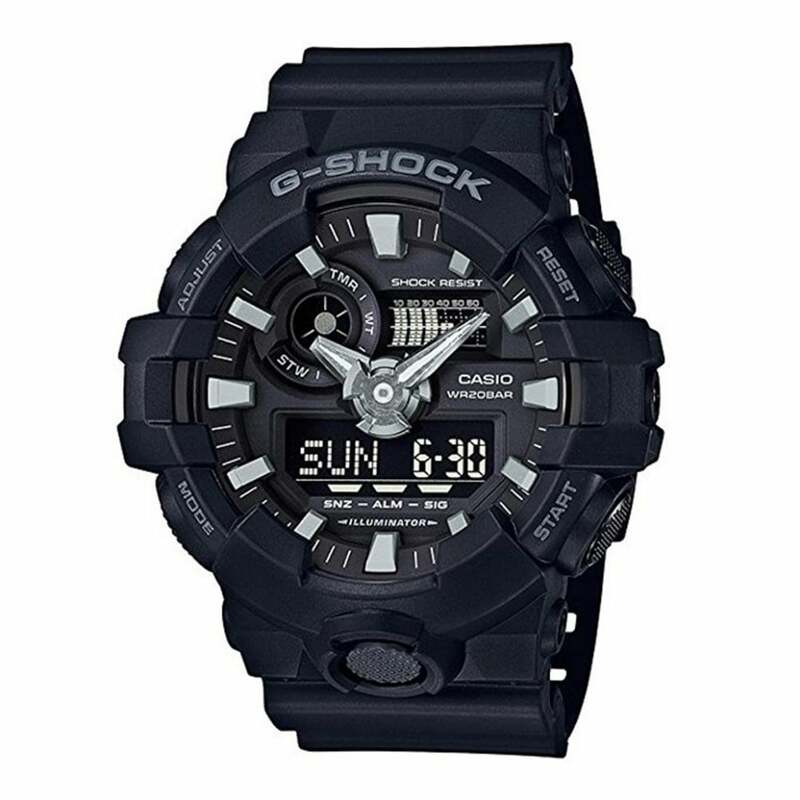 This G-SHOCK GA-700-1BER Black Rubber Alarm Chronograph Men's Watch has an easily visible analog/digital design with a 52mm case. Water and shock resistance, with a quartz movement. It has an alarm and chronograph function, with a LED back light for easy visibility in the dark.